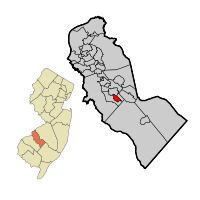 Pine Valley NJ Real Estate Info will help you learn about this area within Camden Co. It is the 2nd smallest community within NJ - second only to Tavistock, in Camden Co also. This tiny Borough is home to one of the most famous Golf Clubs in the US - Pine Valley Golf Club. Since this is such a small community, there will be no listings or websites for the official area.